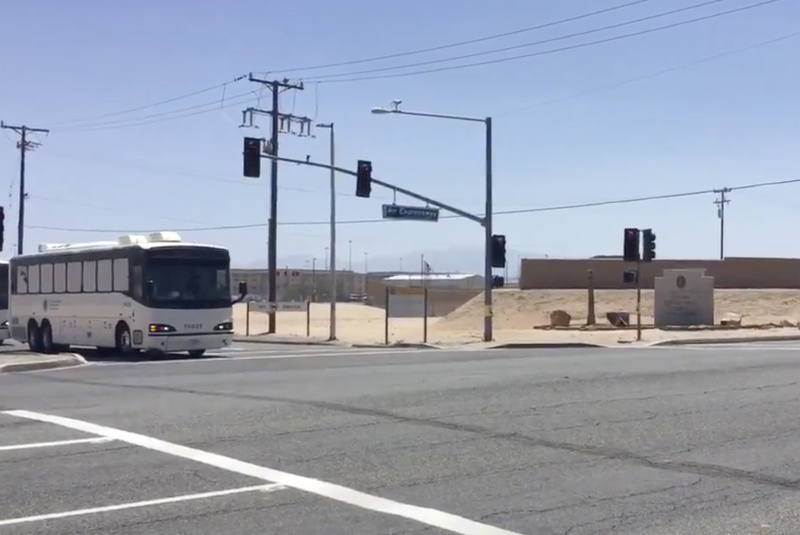 Busloads of immigration detainees arrive earlier this month at the federal prison facility in Victorville. More than 800 prison staff members at a federal facility in Victorville were notified this week that an immigrant detainee there has been diagnosed with chickenpox, according to a letter from the warden obtained by KPCC/LAist. “Measures are being taken to identify and contain inmate contacts who are at risk for getting chickenpox,” the letter said.